Most restaurants have a very slender average profit margin, generally between 3% and 5%, and that means everything possible must be done to improve the bottom line. One of the most effective ways for restaurants to save money can be by reducing its annual energy bill. It is known that a whopping 80% of the commercial food industry’s $10 billion annual energy cost comes from inefficient methods used for holding, refrigeration and cooking. By implementing initiatives for restaurant sustainability, a significant amount of energy waste can be eliminated, and restaurants can find themselves much more profitable. 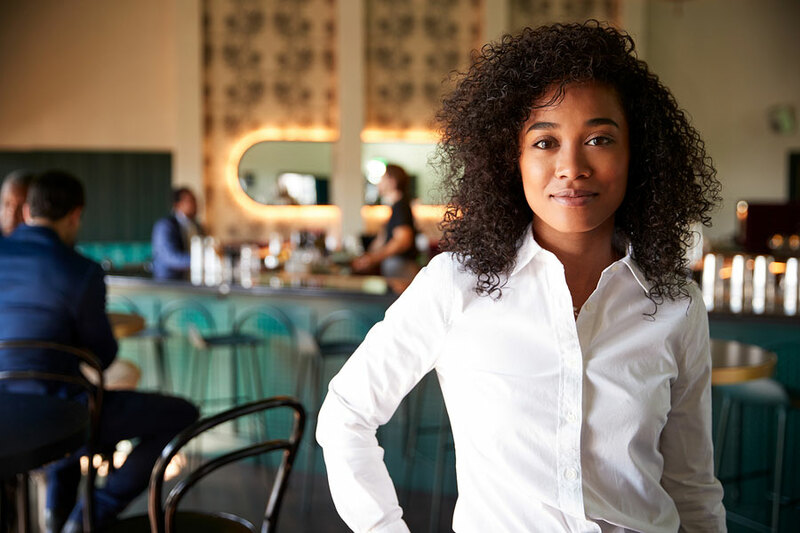 Here are three ways that sound restaurant sustainability practices can lead to an improved bottom line for your restaurant business. It’s almost always better to invest in sustainability before you even open your doors as a new restaurant. The biggest reason for this is that restaurants routinely consume 2 1/2 times more energy per square foot than any other kind of commercial enterprise. This means that designing energy efficiency into your operation is crucial, so that your overall business can be greener when it begins to operate. By implementing green practices right from the beginning, you’ll have a much better chance of achieving energy savings which will lead to an improved bottom line. As an example, you might want to install an energy-efficient roof system, a highly effective ventilation system in the kitchen, and possibly a maximum efficiency system for cooking. Some fast food restaurants who have implemented restaurant sustainability measures like these have realized a 67% savings on their energy bills. Regardless of how many locations your restaurant business may have, they should all be operating as a cohesive whole, with sustainability in place at all locations. If only one or two of your locations are considered green operations, the entire organization will eventually fall prey to differing organizational goals, and the sustainability effort will be overwhelmed. One great example of this is how a construction team and operations team will have different goals when they’re putting together a new location restaurant. The construction team will be much more concerned with saving money on building costs, while the operations team will be far more focused on creating a long-term high-efficiency establishment. Prior to opening the doors for any new facility or for constructing a new business site, all stakeholders should be brought together. All issues should be considered with regard to sustainability and high-efficiency operations. In order to keep your restaurant sustainability initiative going strong, there should be continuous evaluation of overall effectiveness, which includes the identification of potential areas for improvement, throughout the entire organization. This is a great way to ensure that sustainability is built into the program, because periodic assessments should discover new opportunities for implementing sustainable methods. Regardless of what other business changes might occur, sustainability is always being considered so that it becomes a natural component of your company’s overall philosophy. It has been shown many times in the restaurant business and elsewhere, that when sustainability is strongly considered as part of a company’s core policy, it will save money and increase profits both now and for the long-term. If you need assistance with maintenance for your restaurant, we at ABS Facility Maintenance are happy to help. Our pre-screened technicians are ready to assist you today. ABSFM offers a wide range of services to the Restaurant and Facilities Industry. Contact us today and let ABSFM be THE source for all your facility maintenance and repair needs.